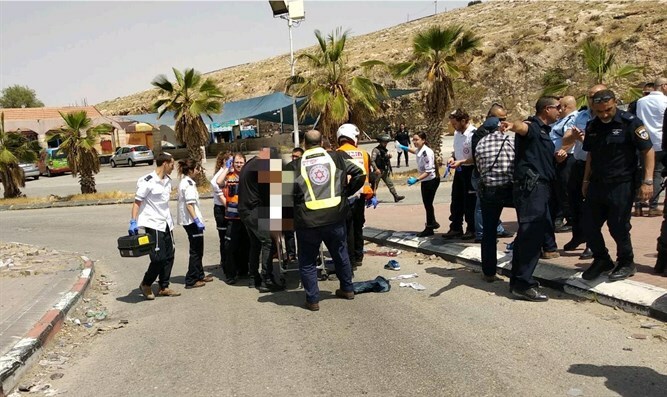 Civilian neutralizes terrorist who attempted stabbing attack at Mishor Adumim junction. Terrorist shot, 3 suffering from shock. An Israeli civilian on Sunday afternoon thwarted a stabbing attack at the gas station at the Mishor Adumim junction near Ma'aleh Adumim. 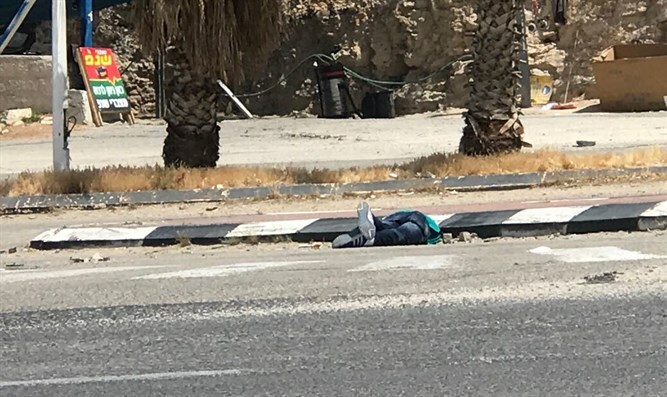 A Palestinian Arab terrorist who arrived at the intersection tried to stab a civilian with a sharp object before being shot by another Israeli civilian who was present at the scene. The terrorist was evacuated for medical treatment and is in serious condition. Three Israelis who were at the scene of the attack are suffering from shock.